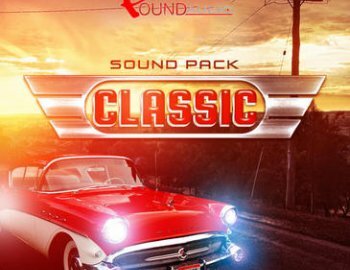 'Classic' By Pound Audio is a Royalty-Free Lo-Fi Hip Hop sample pack produced with soulful chords progressions, classic melodies, organic instruments, punchy kicks and smooth basses with a touch of Lo-Fi from Classic Analogue Gear. These loops have been carefully constructed with focus on creating that perfect Lo-Fi sound. If you value these type of chord progressions that are separated into one file, and also combined as one sample, then you'll get a lot out of this pack. Inspired by the team's own experimentation and creativity, this pack is one of a kind. Just drop these sounds into your DAW and enjoy manipulating them to suit your style.